A sharp-tongued peace advocate for any occasion, Sulak Sivaraksa has won another accolade. In Kyoto, Japan, on July 23, Mr Sulak, 78, picked up the 28th Niwano Peace Prize, which included a certificate, a medal and a cash prize of 20 million yen (almost 8 million baht) for ”his contribution to a new understanding of peace, democracy and development, and to environmental preservation based on the core principles of his Buddhist faith”. It is the latest in a long string of awards. In 1995, he received the Right Livelihood Award, dubbed the ”alternative Nobel Prize”, awarded in Stockholm. In 1998, Mr Sulak received the UNPO Human Rights Award and in 2001, the Millennium Gandhi Award. The Niwano Peace Prize was established in 1983 to honour individuals and organisations contributing to inter-religious understanding and cooperation, which furthers the cause of world peace. In selecting Mr Sulak as an award recipient for 2011, the Peace Prize Committee said he was ”intellectual enough to persuade people to promote the importance of social awareness among Buddhists all over the world”. Mr Sulak exploits his intellectual gifts to promote ”engaged Buddhism”. He has worked as a teacher, scholar, publisher, and activist, and has founded many organisations, including the International Network of Engaged Buddhists. He has written more than 100 books and monographs in Thai and English. Mr Sulak’s advocacy for the environment was another important reason he won the Japanese award. Born into a family of Chinese ancestry, Mr Sulak was educated in Britain until 1961. When he returned to Thailand, Mr Sulak launched a bookshop called Sueksit Siam, which became a magnet for socio-political debates among young thinkers and scholars in Bangkok. In 1963, he founded the Social Science Review, which soon became the most influential publication in the country _ helping awaken students to social issues leading up to the overthrow of the military regime in 1973. In the eyes of authorities, Mr Sulak has often been considered a troublemaker and a difficult person to deal with, as he could be critical of any institutions. He was instrumental in inviting the Nobel Peace laureate Dalai Lama to Thailand. The Dalai Lama visited this country in 1969, 1972 and 2005. His supporters admire him for his ability to inspire people from many backgrounds and countries to embrace the cause of peaceful resolution to conflicts. In Thailand, Mr Sulak has helped shape a civic movement that integrated the concepts of social welfare, community development, cultural diversity, and environmental responsibility. 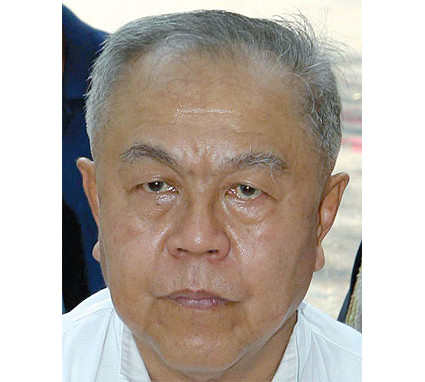 His controversial book Unmasking Thai Society landed him in court on a charge of lese majeste in 1984. The charge was later dropped.